Many men with low-risk prostate cancer who most likely previously would have undergone immediate surgery or radiation are now adopting a more conservative “active surveillance” strategy, according to an analysis of a new federal database by scientists from Dana-Farber Cancer Institute. The use of active surveillance increased from 14.5 percent to 42.1 percent of men with low-risk prostate cancer between 2010 and 2015, said the researchers, led by Brandon Mahal, MD, from the department of radiation oncology at Dana-Farber/Brigham and Women’s Cancer Center who led the study published by JAMA. During that same period, the percentage of men undergoing radical prostatectomy (removal of the prostate gland) declined from 47.4 percent to 31.3 percent. The use of radiotherapy for low-risk disease dropped from 38.0 percent to 26.6 percent. National guidelines advocating conservative management rather than immediate “definitive treatment” with surgery or radiotherapy were established in 2010 for men with low-risk prostate cancer. Low-risk disease is defined as a small tumor confined to the prostate gland that is assigned a grade of 6 on the Gleason scale following a biopsy; an early pathological stage, and a low PSA (prostate-specific antigen) blood level. “This encouraging finding suggests that clinicians are better adhering to current recommendations and guidelines for men with low-risk prostate cancer, as the use of active surveillance in appropriately selected men will reduce rates of overtreatment,” said Howard Soule, PhD, executive vice president and chief science officer of the Prostate Cancer Foundation. Mahal said men with low-risk tumors have a “very, very low risk of dying” from prostate cancer, and that invasive treatments don’t necessarily improve survival odds. In the current study, Mahal and his colleagues, including senior author Paul Nguyen, MD, a Dana-Farber/Brigham and Women’s Cancer Center radiation oncologist, made use of a federal database that for the first time specified whether patients made use of watchful waiting or active surveillance. (Patients adopting a watchful waiting approach are told to report symptoms such as changes in urinary habits, pain, or irritation, or bone pain that could reflect metastatic progression. Active surveillance involves periodic follow-up tests for PSA levels, repeat biopsies, and exams by a doctor every six to 12 months). The study also revealed changes in treatment for high-risk prostate cancer from 2010 to 2015 – though the researchers were somewhat surprised by the findings. The use of radical prostatectomy increased from 38 percent to 42.8 percent during that period, while radiotherapy decreased from 60.1 percent to 55 percent. Funding for the research was provided by Prostate Cancer Foundation-American Society for Radiation Oncology award to Mahal; Prostate Cancer Foundation funding to Nguyen; and support from the Wood Family Foundation, Baker family, Freedman family, Fitz’s Cancer Warriors, David and Cynthia Chapin, Frashure family, and other donors. 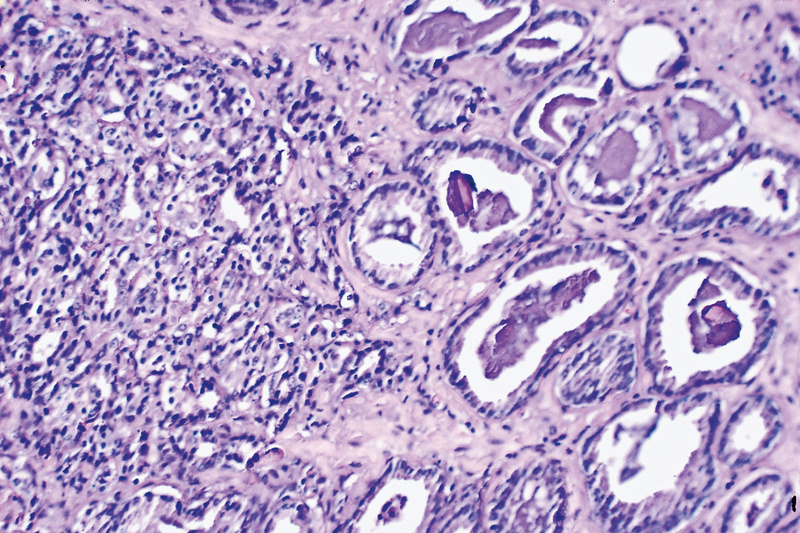 Study in JAMA shows spike in active surveillance for low-risk prostate cancer. Appl Rad Oncol.